â€œYou are a merchant in the city of Genoa. 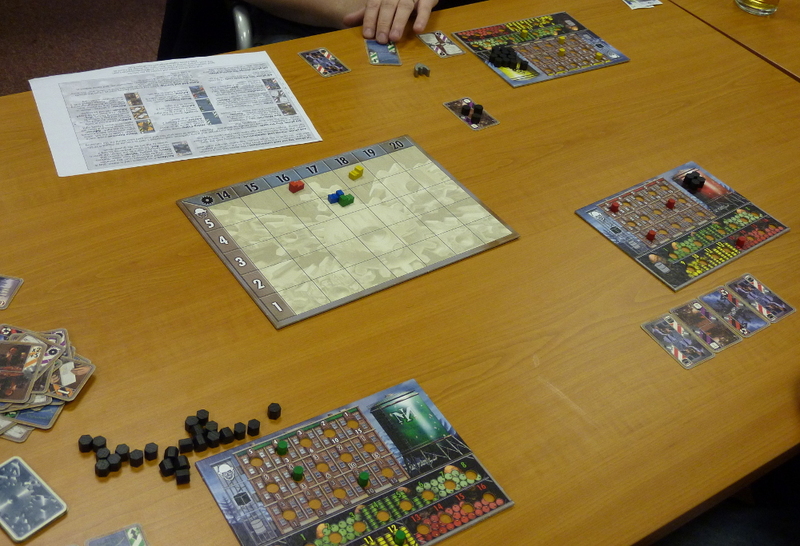 The game board features a district of the city bordered by darker tiles. You will attempt to acquire wealth and fame in the various buildings identified with a banner. These buildings allow you to take the various actions that will lead you to prosperity. However, since you can only take one action per turn, you will need to be a canny salesman and sell the other actions in order to generate a profit. Cunning strategies and smart negotiations should, in the end, earn you enough to rise above the competition!â€� â€“ English rules. â€œHeads are going to roll-lots of them-and you want to earn top bragging rights in the guillotine operators' locker room. If you behead marie Antoinette or King Louis XVI everyone will be impressed, but who's going to care if you lop off a palace guard's head? So make sure you collect the most prestigious noggins and you'll be head and shoulders above the rest!â€� â€“ English rules. This game is played over three "days", on each of which a line a twelve noble cards is laid out queuing up to mount the steps to the guillotine. On their turn a player may first play a card from their hand, which may adjust the order of the line or have some other effect, and then they must collect the noble at the head of the line. After the line is exhausted a new line is laid out and play proceeds with the next day. After three days the players add up the value of the nobles they have collected and whoever has the most is the winner. This is an ideal filler for up to five players and tends to be played at the end of a session. â€œThe Homestead Act of 1862 allowed Americans to claim undeveloped land by living on and farming it for five years. Also in the 1860s, the Transcontinental Railroad was built across North America, linking rail networks between the East and West coasts. The development of the railroads accelerated the spread of homesteaders colonizing the West and led to the rapid cultivation of new land. In Homesteaders, players are settlers in the Old West, claiming land to develop into a town. The player who contributes the most to building that town into a city will have the city named after him and be declared the winner.â€� â€“ English rules. â€œGermany in the late middle-ages: the players represent aristocratic families, trying to elevate their claims to the throne. To do this, players collect victory point cards by building cities, being promoted to elector, etc. The player with the most victory points is the winner!â€� â€“ English rules. â€œIn the past, profit was the only measure of success for a company. Although profit is still the most important measure of company success, there are other important factors that companies must consider when measuring success. Companies must now look beyond the wall of their company to the world and realize their poistion in the world and the effect they have on it, especially how they handle the waste they produce as a by-product of their manufacturing process. Companies also must spend resources on technological innovations so the company can continue to be successful in the future.â€� â€“ Rio Grande Games English rules. In this game, each turn a player will first select a set of three cards from a number of choices and then, when everyone has selected, the cards will be played for various effects including (among others) producing an order, which gives money but produces waste or innovating to increase one of the technology levels of the player's factory. 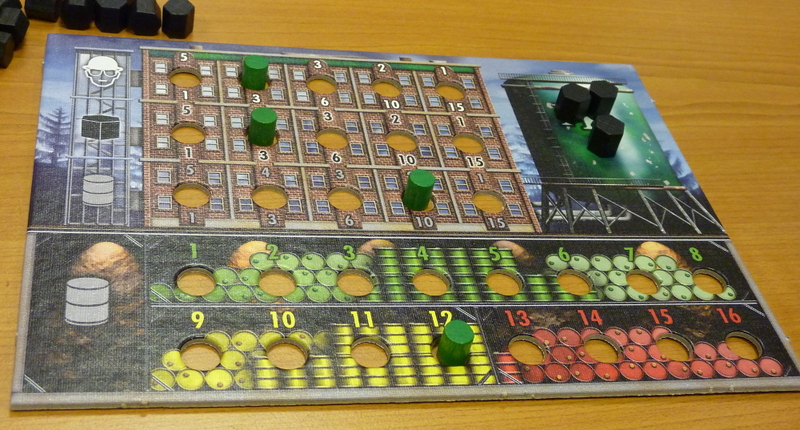 The game carries on, until a player's factory reaches the 20 column on the factory board (movement achieved by using the Growth action card) at which time victory points are calculated by the players' positions on the factory board and the 3 innovation tracks on their factory boards, together with any cash they may have on hand. The highest scorer is the winner. â€œCyberSolutions, Inc. is on the brink of a new discovery in synthetic humanoids. If successful, they could threaten powerful megacorps Haas-Bioroid and Jinteki, who have a stranglehold on the artificial labor market. Unfortunately for CyberSolutions, Inc., their New Angeles branch office has been compromised. A career criminal known only as â€œMr. Whiteâ€� has gathered together a gang of thieves to infiltrate the CyberSolutions, Inc. facility. The heavily guarded building will prove difficult to enter and navigate, but the valuable research data makes this heist worth the risk. Mr. Whiteâ€™s personal contract with a certain megacorporation makes the job even more profitable for him. Unfortunately for Mr. White, heâ€™s not the only one on his team with a personal agenda. Now the infiltration is underway and there is no honor among thieves. With the first layer of security bypassed, Mr. Whiteâ€™s group splits up. The alarms have been triggered, private security mercs are on their way, and itâ€™s every man, woman, and bioroid for themselves. Who will escape with the most data? And who will be left behind to take the fall?â€� â€“ English rules. Each player represents one of the high-tech thieves infiltrating CyberSolutions Inc. in search of data on their new prototype. The facility is randomly made up of twelve rooms on two floors (also a secret room) and the players must make their way into the building and advance through the rooms gathering information before retreating, hopefully escaping before security arrive on the scene. On each turn each will simultaneously play a card, which may be one of their basic actions (Advance to move forward, Retreat to move backwards, Interface to use a special ability of the room they occupy and Extract (Download in basic game) to take the Data files available in the room, or one of their special items of which they are dealt four at the start. 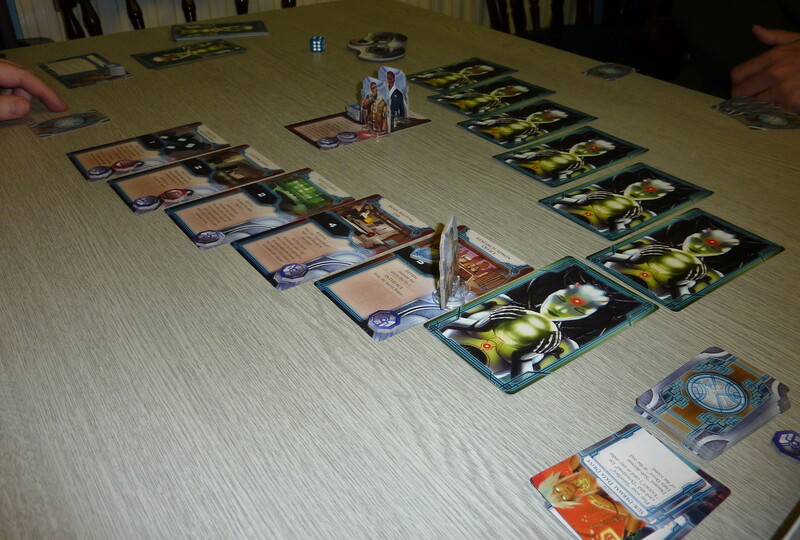 The actions and items are then resolved in player order. Following resolution, any NPCs are resolved and the turn ends with the roll of a die to increase the proximity of the security teams. The game ends when the proximity dial reaches 99 at which time any players still in the building are out of the game and the winner is determined from the remaining players with the one having gained the most data being the winner. It is possible that no player will escape in which case nobody wins.